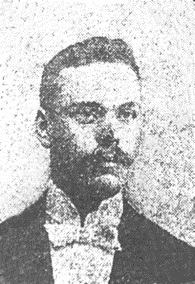 On Saturday, September 24, 1910 at about 1000 hours, Patrolman Matthias Rude of the Seattle Police Department was stabbed by a prisoner while assigned to stockade duty. Patrolman Rude and other officers were guarding about thirty prisoners on a work detail outside the downtown Seattle jail. Suddenly, prisoner R. Ladovich produced a pick ax and stabbed Patrolman Rude in the head. Ladovich, who was serving a thirty day sentence for check fraud, was feigning sickness earlier in the day and told to work by the officers. Patrolman Rude was transported to a hospital where he died at about 1610 hours. Officer Rude served the Seattle Police Department for three months and he previously served the King County Sheriff’s Office for two years. Officer Rude is survived by his wife and two sons.